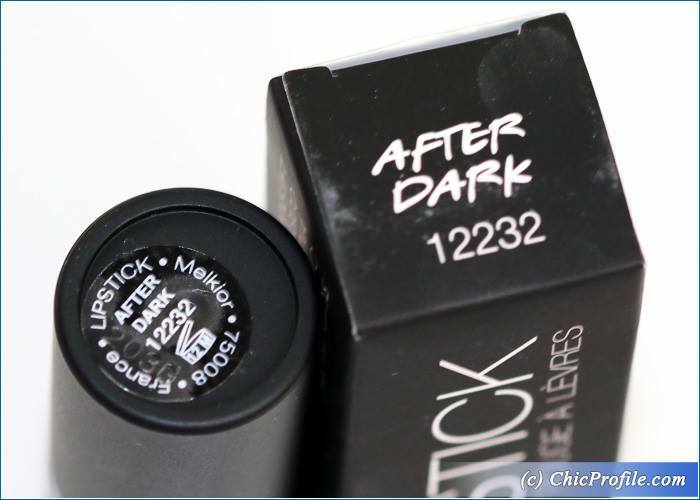 Melkior After Dark Lipstick (39.90 Lei for 4.5 g/ 0.16 oz) is a blackened black with a creamy finish and a natural sheen. 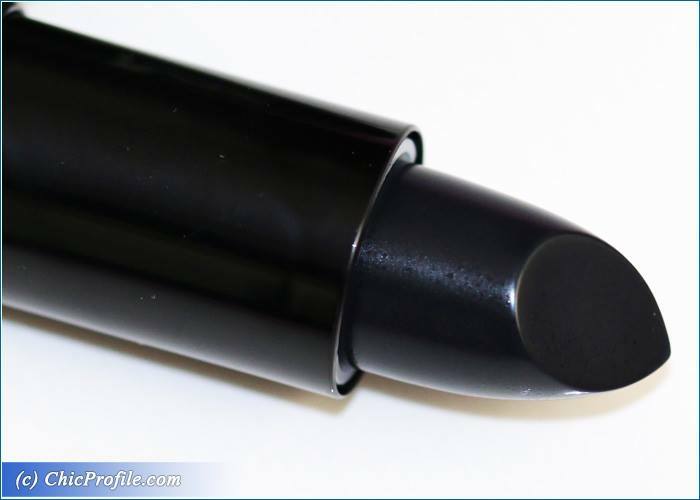 I know that officially is described as a matte lipstick but even after one hour wear it doesn’t dry to a total matte finish.It’s insanely pigmented, showing mostly an opaque color coverage on one stroke. 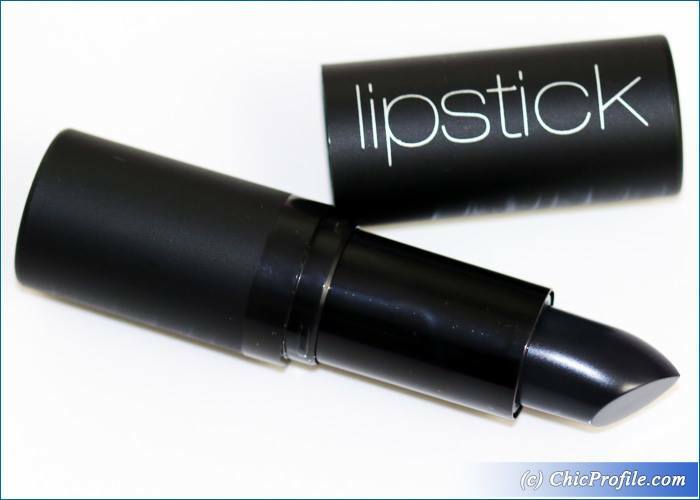 It has a creamy consistency and glides easily and evenly across the lips without tugging on the lips or feeling tacky. 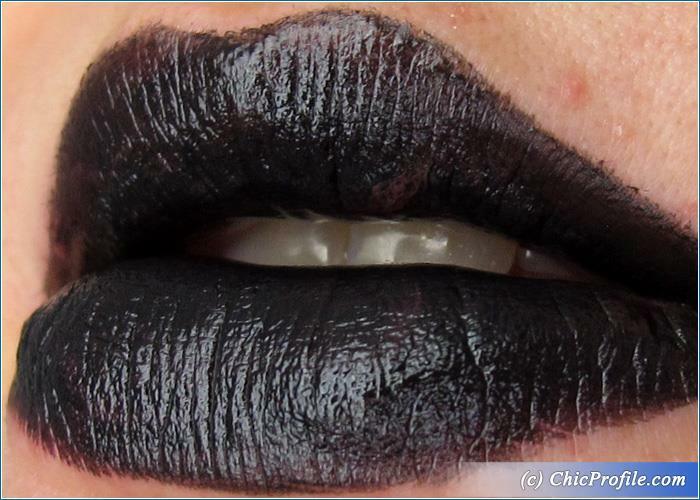 The application is a bless, glides effortlessly across the lips and the texture has a medium slip to it, but feels comfortable to wear. 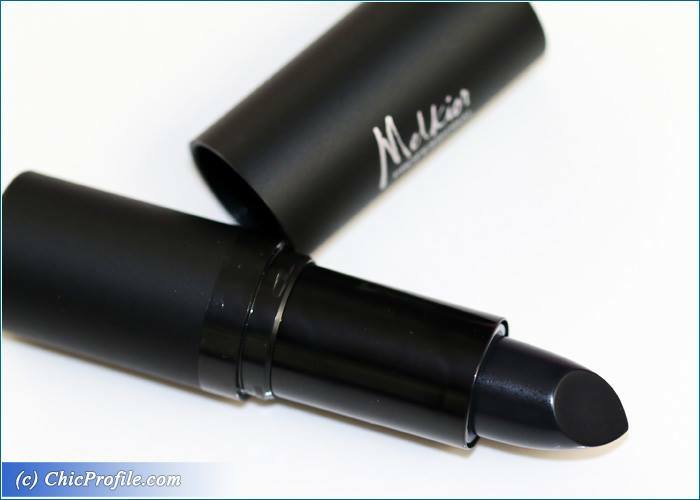 It does tends to look more matte as the hours pass but it will still keep a bit of that light satin finish, without sucking the life out of your lips. 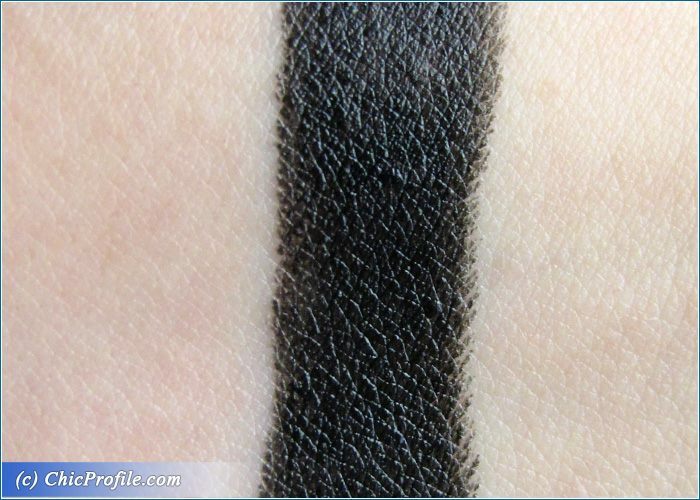 Because it’s such a dark and intense color, you’ll need not only a black lip liner (I’m using NYX Black Lips Retractable Lip Liner – upcoming review) but a concealer pencil like Mustaev Spot Eraser Concealer Pencil (review, swatches, photos) to create a perfect pout. Without a lip liner or a lip base, the color tends to bleed a little bit so make sure you define your lips and get that contour. 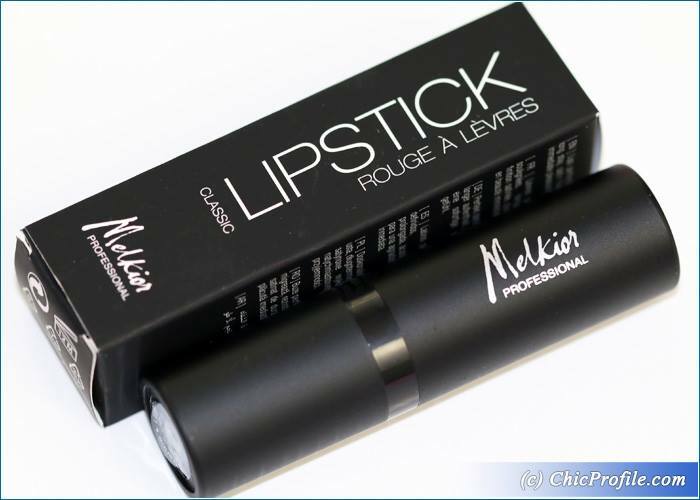 Unfortunately the formula is not waterproof or long lasting and it will transfer on a cup of coffee, glass, straw or napkin, so basically if you are planning to have a meal or get something to drink just make sure you keep this lipstick close by for a quick retouch. I can’t say that it will completely fade away when you drink something but you notice how it transfers on the glass so being a black color it will definitely look a bit strange. 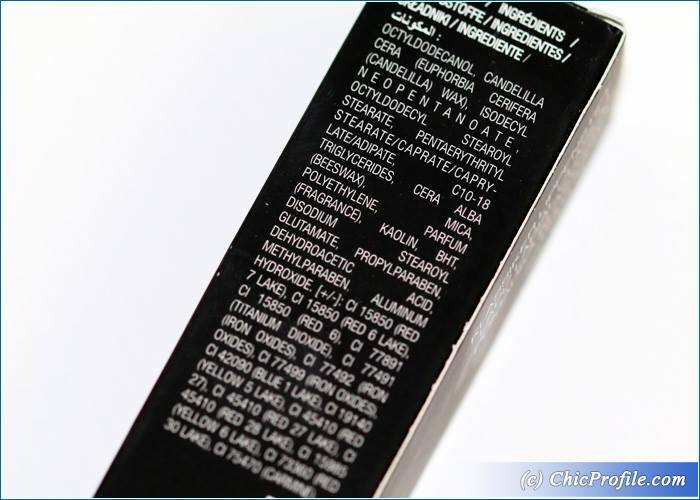 I had about four and a half hours wear with this formula without leaving a stain and it felt moderately hydrating. 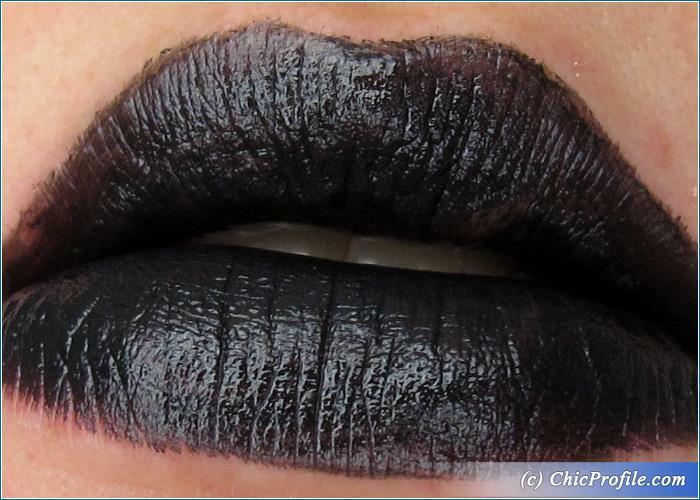 The color starts to wore off from the center of my lips so once it does you’ll definitely need to reapply it because of the strong contrast between the black color and your natural lip.